So do we want Export or Local Agriculture? Despite many studies indicating that 80-90% of people want to use more local food, nearly all international farm supports continue to be targeted toward cheap exports. Why? Economists have long been aware that agricultural products use very inexpensive inputs – water (from rainfall), carbon and nitrogen (from the air), light (from sunshine), and a few minerals (from topsoil). Add some labour (employment) and, voilà, something of value has been created. Studies regularly confirm that investments in food production are the single best way to create employment plus they generate community benefits 2-5 times their cost. It makes a lot of sense for governments to proactively support agriculture. To accomplish this without opposition it has been easier to support a few giant farms to enhance their export capacity. Governments around the world realize the tremendous value that agriculture can bring to their overall economies (even though individual farmers benefit little). Now that public sentiment in wealthier countries is turning to purchase locally grown food, export markets will decline. As poorer countries start to realize how much it really costs them to import cheap food, they too will reduce imports. Before we lose too much infrastructure, we need to encourage our politicians to kick-start rebuilding our local food infrastructure. 50-years of promoting cheap-food exports has seriously eroded our ability to feed ourselves. In an article I wrote for The Globe and Mail in the early ‘80’s, I discovered that for every dollar we spent for food, our taxes contributed another dollar. Now taxes contribute over two-dollars for every dollar we spend. So please do not feel guilty for accepting government supports for growing, storing and processing locally grown foods. And please do not feel it is a waste of our tax dollars to rebuild our food system. In the US, some private investors have determined how to monetize the benefits of supporting farmers through “Impact Investments” and “Slow Money”. Quebec’s FIRA and Nova Scotia’s FarmWorks are also providing needed patient investments. Premier Kathleen Wynne’s new Ontario government has publically released its normally confidential Ministerial Mandate Letters. Sustain Ontario has helpfully summarized the food related mandates. It is most interesting to see what is included; and what is not included. What stuck out for me is the plan to double the rate of growth in the Agri-Food Sector. This will contribute toward making Southern Ontario’s GTHA the foremost Agri-Food Region in North America [surpassing Los Angeles, New York and Chicago]. As the city of Toronto itself finally begins to appreciate rural partners, there will soon be a 20,000 sq.ft. Toronto Food Business Incubator. So might this be a good time for the federal government to join in by launching a program to provide local foods for our military? 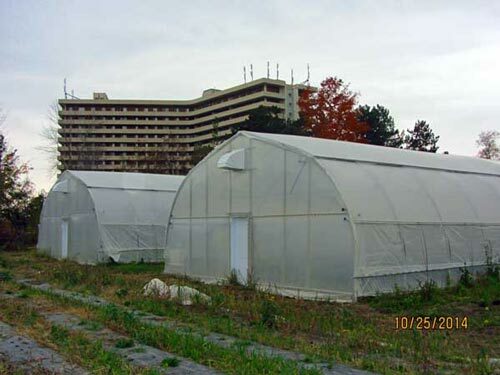 New urban greenhouses at Black Creek Community Farm that I advised on. An supportive federal/provincial initiative is Growing Forward 2 (GF2). It is a fairly easy-to-access source of funding for food growers, food processors and food associations. The main emphasis is “Capacity Building”, by which they mean increasing the information aspects of food related businesses. I like to think of this as the “software” or stuff you have on paper, in your computer, or within your brain. This can include Skills Development and Training, as well as the Consulting for Assessments and Planning, or even building an effective website. You may choose to focus on business development, food safety, market expansion, labour efficiency, or plant and animal health. Our provincial and federal governments know that these skills and practices will benefit your business so much that you will in turn contribute to the overall economy to such an extent that they can comfortably provide 50% of the costs in the form of a grant. If a Consultant’s Capacity Building Assessment or Plan identifies the need for some “hardware”, GF2 may then provide a 35% cost share grant for “Implementation”. This might be re-building a portion of your facility to handle extreme weather conditions or improve plant and animal health. Or it might be purchasing a piece of equipment to assure food safety or enhance labour efficiency. The Implementation grants are not automatic, but are awarded on their “merit”. (For instance, a new building or another tractor would not merit funding.) If your project is deemed “innovative” (something new to Ontario), you may receive an additional 15% grant. There are many other supports that may better align with your needs: The Big Carrot, Carrot Cache, Greenbelt Foundation, Toronto Farmers’ Market Network, Local Food Fund (after it is re-launched), Community Futures (for outside the GTA), and in the North there is generous funding from FedNor and NOHFC. Please contact me right away to discuss any projects you have in mind. Once again the year started with absolutely no honeybees. In our quarter-acre of wild milkweed we saw only one Monarch butterfly. (There were a couple of false alarms when we observed some similar looking Admiral butterflies.) Our swallows returned. But they appeared smaller than usual and behaved most unusually. Normally they fly out of the barn whenever they hear the tractor or lawnmower start or someone dives into the pond. They know these will stir up enough insects for a good feed. They flew out of the barn as usual, but then flew high in the sky where I cannot imagine there is much to feed on. In the pond nearly all the tadpoles remained tadpoles all summer. Only a few grew legs to jump out as frogs or toads. And then the normally timid coyotes have started circling around pedestrians walking along our road. 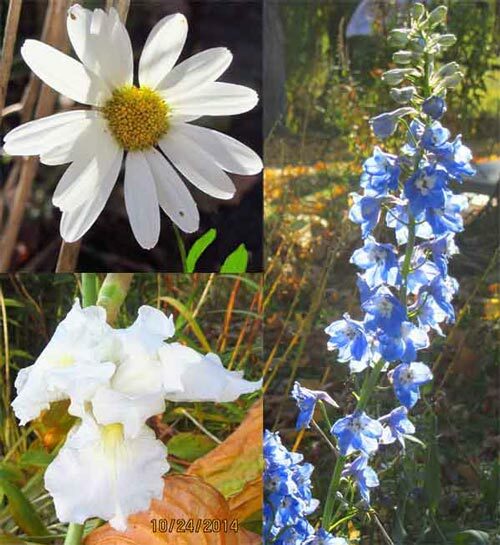 Some summer flowers that decided to bloom in October – very strange. 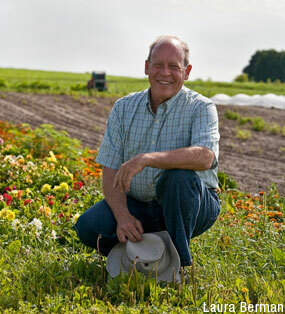 Dr. Theiry Vrain is a retired Agriculture Canada genetic engineer who participated in the approval of several GMO crops. This also included their associated chemicals – 2,4-D, Roundup and Neonicotinoids – that have all become suspects for causing the above strange occurrences. Since retiring 11-years ago, he has studied the scientific evidence ignored by most of the bio-tech industry promoters and government regulators. He has reversed his position and now warns of dangers from GMOs. Here is a very abbreviated Ted Talk version of his revised understanding. Dr. Vrain will be hosted in Toronto on November 13th by Kids Right to Know. This organization is professionally run by Rachel Parent, an absolutely amazing very young lady. (We are in very good hands with “kids” like her.) Dr. Vrain will also be speaking in Owen Sound on November 1st, Windsor on the 10th, and London on the 11th. Then in Toronto on Saturday, November 15th will be the not-to-be-missed Festival of Dangerous Ideas. The always-insightful Dr. Vandana Shiva will be the keynote speaker. She and many other fine contributors will share their “dangerous ideas” about how seeds, soil, pesticides, pollinators, fracking, climate change and failing health are all related to our food. It was quite a surprise when CBC revealed a CFIA report that indicated Organic produce had pesticide residues! When I hear shocking stories on the CBC, I often turn to AM talk radio shows to hear what others are saying. It was curious why this was not being discussed in other media.